Deadline Hollywood is reporting that the Alphabet Network is in the very early stages of commiting to a live-action "Hulk" series. I wonder how this will play out versus the actual cinematic version of the Big Green Guy? As much as I enjoyed the original, I don't think there is any way you're going to get away with spray painting a guy and saying he's a giant monster. Not for today's audiences. The FX had better be pretty good, which means it's going to be expensive and they had better have Super-Villains, not normal guys facing him. That would be lame. Just like the 70's "Spider-Man" series were he faced normal guys. That was lame. Just like the first half of the season of the early 90's "The Flash" series where he faced normal guys. That was lame (I mean, really, a biker gang? Really?). So, perhaps we can see other characters like "The Abomination" or "Rhino" and most obviously, "The Leader." Ooooh, I'm not sure how I feel about that! Hey Lou I want my forty back. "The Incredible Hulk," just like Superman, has very poor game play in terms of modern story lines. While I'll be the first to admit that there's a nice analogy concerning adrenaline and natural psychology (Ex. People think that they are stronger and less vulnerable when they get angry), the story arc is also a page out of Jekyll and Hyde. Like a lot of older superheroes, there's just no vulnerabilities to truly exploit to equal out the character's strengths (pun both intended and not intended). What's his true weakness? Having to constantly pay for new clothes (except for his magical pants, which never shred and always seem to fit him)? All of the main villains for the Hulk seem to be just larger, stronger versions of the Hulk. Is there even an arch-nemesis for the Hulk? I know that comic book fans could name at least 10 Hulk villains but how many ordinary people could name even one villain? 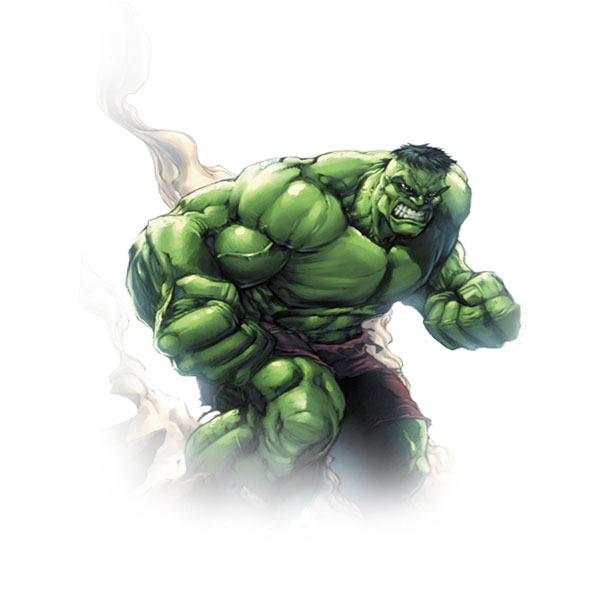 Furthermore, the Hulk just screams "Steroids!" nowadays, in this day of bulked-up professional athletes. Is that really a positive image you want to send out to impressionable kids? "Hey, kids, the solution to lots of problems is to get into a 'roid rage!" In the end, I just don't see a lot of traction for this property unless they totally re-build the character. If they do that, though, then why not just re-name it and leave the classical brand untouched for those graphic novel fans who still squabble over if the "true" Hulk is really green or gray?